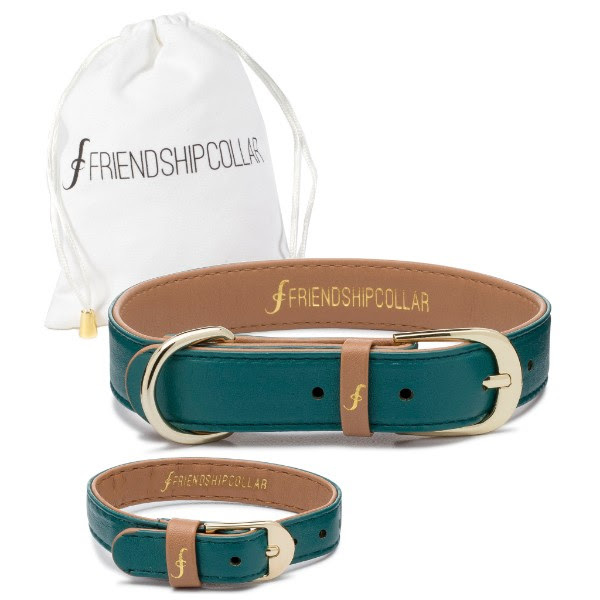 We are so thrilled to announce that Happytails are now stockists of the stylish Friendship Collar brand. For each purchase made with Happytails we donate R100 to PETS JHB. Spoil yourself and your pooch with one of these gorgeous sets while supporting charity at the same time. They also make fantastic gifts! Please email info@happytailsdaycare.com to place your order. Match your best friend in style with FriendshipCollar. Our ethically sourced vegan leather accessories are the perfect way to display the bond between you and your loved one. At FriendshipCollar we believe that comfort, style and sustainability are key. We wouldn't put anything on our animals that we would not wear ourselves. All our products are soft, supple, durable and animal friendly. In 8 different sizes you are sure to find the perfect fit whether you have a tiny Tea-cup pup or huge cuddly Newfoundland! Our collection is finished with gold-plated hardware. Additional bracelets are available for purchase, so that all of the family can match. Your constant companions deserve the best. Whether you have a feline friend or a canine chum, our matching collars & bracelets symbolize and display the powerful bond between you and your pet. In vibrant colours, striking printed patterns and named after personality traits; you're sure to find one that suits you and your furry best friend. Friendship bracelets signify a binding relationship of love and trust. One to wear, the other to share. They are a way to fashionably flaunt your friendship and represent your past, present and future adventures together. 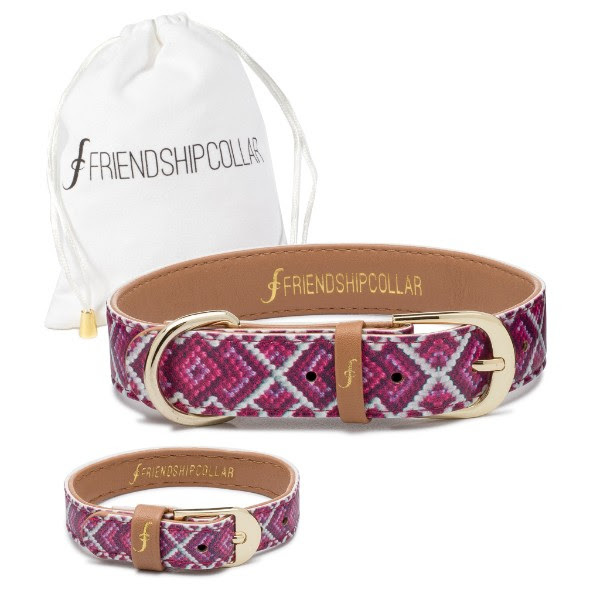 Embrace the timeless appeal of the friendship bracelet with FriendshipCollar. For each purchase made with Happytails we donate R100 to PETS JHB. The Mucky Pup "Dirty paws, mud stained floors, big doe eyes, you can't help but adore"
The Pedigree Princess "For the pup that requires snuggles and cuddles and treats galore"
The Top Dog "Playful, boisterous and cute as can be, when playtime is over, it's cuddles next to me"
The Rasta Pup "We're matchin, yeah we're matchin - hope you like matchin too!" Puppy Love "Roses are red, violets are blue, I love my owner and now we match too!" The Hipster Pup "A little bit hairy and cool as can be, this pup is so on trend that he matches me!" The Classic Pup: Racing Green "It's tailor made, the perfect fit. My new collar's sure to be a hit!" Dotty About You "For the pooch that is spoilt rotten and never forgotten"
The Classic Pup: Jet Black "It's tailor made, the perfect fit. My new collar's sure to be a hit!" White On Trend "Don't let my looks fool you, despite this cute face and my sad eyes, I'm no little angel, I'm a rascal in disguise!" Great Genes - Dark Denim "It's tailor made, the perfect fit. My new collar's sure to be a hit!" My Hole World "Whatever cares you may bring home in a day, the love in your dogs eyes will melt them away!""